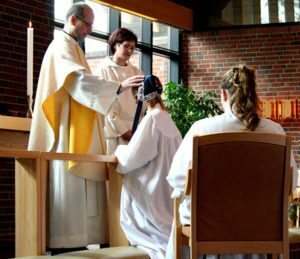 ​Spring is a busy time in the Catholic Church; not only is it the season when we celebrate Easter, it’s also the season when the sacraments of Reconciliation, Communion, and Confirmation are typically received. Those receiving Confirmation have gone through many months of instruction, reflection, and prayer. As part of the process, candidates are asked to adopt a saint name, their confirmation name, that they will carry with them throughout their life. On the day they receive the sacrament, the bishop will confirm them using their chosen saint name. ​What is the Purpose of a Confirmation Name? ​When deciding on a Confirmation name, the goal is to pick the name of a saint you admire, can relate to, or aspire to be like. This saint will be bonded to you spiritually and will be your model in life and can be the one you turn to for guidance and protection. Throughout the Bible, there are many examples of people taking on new names, dating back to the Old Testament. God changed the names of many to reflect the special roles they’d play throughout the history of the Church. For example, God changed Abram’s name to Abraham meaning, “father to a host of nations.” This name change signified that God was making a covenant with Abraham that would make him the first of God’s people on earth. Simon’s name was changed to Peter, meaning “rock” and refers to Peter becoming the first pope: “And upon this rock I will build my church” (Matthew 16:17-18). 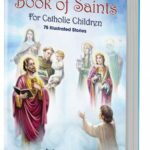 ​Pick up a book on saints and read about the lives of popular saints who had a profound impact on the Church. The trials and tribulations that the saints experienced, as well as their triumphs and examples of faith, can be a great source of inspiration for your own life. ​Do you have a hobby or a worthy cause that you are passionate about? Search for the saint who shares your similar goals and interests. There is a patron saint for practically every cause. For example, if you have a special connection to animals, consider choosing the name Francis (after the great animal lover St. Francis of Assisi). If you’re looking for a saint who lived an exemplary life of selflessness, St. Maximilian Kolbe is a great example. During World War II he gave up his life for another person's life in a German concentration camp. 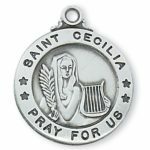 If music is your passion, St. Cecelia — patron saint of musicians — may interest you. ​Maybe a virtue like Bravery or Courage? ​Find a virtue that a particular saint exhibited that connects with you — bravery, obedience, charity, patience, or courage. Do you find yourself standing up for those who need a little help? Maybe you should pick Saint Michael! Are you well versed in bed side ​manner? Your catholic saint name would be Agatha for sure! ​If you’ve narrowed down your choices and are stuck and can’t decide, pray! Ask God to shed His light on who He thinks is the best name for you. ​​If your first name (baptismal name) is a saint’s name, the Church allows you to use it as your Confirmation name. Doing so is actually encouraged because it’s a symbolic way of recalling your baptism. Before you receive the sacrament, pray to the saint whose name you will be using as your Confirmation name. Ask this saint to help you to make moral choices and to be your intercessor before God whenever you call on him or her for assistance. After receiving the sacrament, don’t forget about your namesake! Remember to continue to seek his or her protection and guidance. ​Set up visual reminders of your saintly namesake throughout your home, office, or in your car. 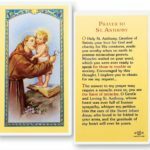 Prayer cards, statues, books, and jewelry of your saint will help you to stay connected and to form a stronger bond. Hello people my name is Cheryl thrasher I am 57-years old I am considering just considering mind you of converting over to the catholic faith even though I was raised in the LCMS Lutheran faith. But the one thing that I just now found out about that I can’t and will not do no matter how many people may try to talk me into it after I go through the RCIA class I will not choose a saint name. I am very proud of my name I can understand that if someone is going to be a nun or a pastor for those people only to change it over to a name of a saint. But under no circumstances add onto my name a name of a saint or change it under no circumstances. I was born with the name of Cheryl Thrasher & I am going to die with it. If the catholic church will not confirm me after I have finished the RCIA class well then that is pretty discrimatory. If people who read this think I am being rude I apologize and don’t start sounding like or telling me where I belong or what church I should stick with that is up to me. This is only my opinion. So the Catholic Church should confirm to you? I converted from the Lutheran Church in America/Evangelical Lutheran Church in America to Roman Catholicism and was taken into the Church this Spring. Someone in my RCIA class asked about confirmation names. As I understood it, taking a confirmation name is optional. I chose to take a confirmation name, Saint Maximilian Kolbe. He was a priest in Poland at the time the Nazis invaded Poland. The Nazis put him in Auschwitz. He treated all he encountered with the love and peace of God, through Christ, including the Nazis. He died in one of the starvation cells in Block 11, Auschwitz, by taking the place of another. Not only did he share the word, he put it in practice. “No greater love than this, that one should give up his life for his friend.” St. Maximilian exemplified this love and I hope to try. This is something I chose to do. My guess is you, too, have that option. May God bless you through your journey. His name appears on no documents but is my special secret help. God bless, Tony. I’m a middle aged adult going through the RCIA process and if God willing be confirmed this Easter Virgil. I was rooted in a fundamentalist Protestant church. When I hear God calling me to join His Catholic Church I spent a whole lot of time reading Saint Thomas Aquinas. I thought he would be my oblivious choice for my confirmation Saint but I felt I wanted to pray more. This prayer time only lasted for a few days. On the date of January 28th while thinking about the passing of my earthly father passing on that day two years ago, Saint Thomas Aquinas Feast Day came up as being the date of my Father’s death. So God in His mercy confirmed that Saint Thomas Aquinas was to be my Saint. I checked out which saints’ feast days were on my birthday and I picked one from that list. Now I can go to Mass on my birthday and celebrate my saint’s feast day at the same time. Can an angel’s name be a confirmation name? I have a connection to the angel Cassiel, but I don’t know if angels can be an option. I am going to be confirmed this fall and I have decided to choose Saint Catherine Labouré. I chose this name because of a dream that I had when 12 years old. I dreamed that Mary came to me and gave me a special pendant to take care of. A year or two later, I learned the story of Saint Catherine and noticed the similar ideas. 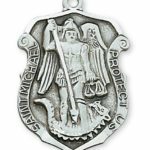 I went on the hunt to find myself a miraculous medal, and realized that I received one as a gift from my priest at my first communion. It was an awesome surprise 🙂 I continue to pray to her as I go through the process of confirmation, and please pray for me as well! God bless! I took the name Cecilia as my confirmation name. I got confirmed today. I have loved music since I was a little girl. It has played a big part of my life. So has angels since I was a little girl and first hurd the guardian angel prayer. Roses has also been a part of me. I’ve used rose scented stuff since a teenager. I still do. So you see I have a lot in common with St. Cecilia. She was awesome and I give her honor by taking her name and doing my best to be like her. Great site and wonderful info. I took the name David for King David. When I was very young I felt a strong connection to him. He is the only man in the whole bible said to be a man after Gods own heart sbd this intrigued me. Because it was old testament I had to request from the bishop special permission to take it. The bishop agreed on the condition that I understood what it meant to take his name. That some part of that saint character gets imprinted on your own that there is power in the confirmation name. Thank you, Antonio, for this wonderful story! We love to learn about our readers and how they have progressed through the Faith. Amazing article, I’m finishing my catechism and God willing will be having my first communion and confirmation this April 2016, the name of the cathedral where I reside is dedicated to San Antonio de Padua, its located in Guayama, Puerto Rico. My name is Antonio Sebastian and I’ve been taking catechism in the parroquial house behind this cathedral, I was amazed when it showed the saint that I had to pray for light was San Antonio de Padua of whom I have pendant of in my Juan XIII necklace and was assigned a special assignment for the class as well. I must add that while I was researching San Antonio de Padua for the special assignment I found many similarities between his sainthood and I. Putting all this together with the help of God, I have decided on my confirmation name. Thank you for writing this article, God bless Laura! I am so glad to hear about your spiritual journey. I know that God will continue to bless you and guide your path. Congratulations in advance for what will be an awesome April!